Halloween is around the corner and many students are planning their costumes for on-campus or off-campus parties. 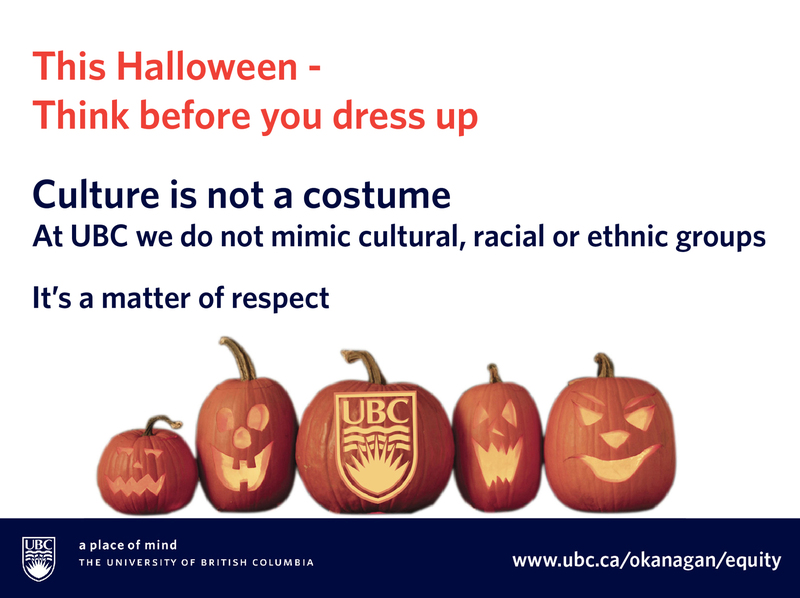 It is a good time to remind everyone in the UBC community that culture is not a costume. 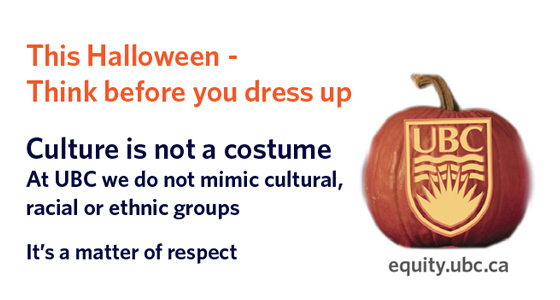 At UBC we do not mimic cultural, racial or ethnic groups. It’s a matter of respect. 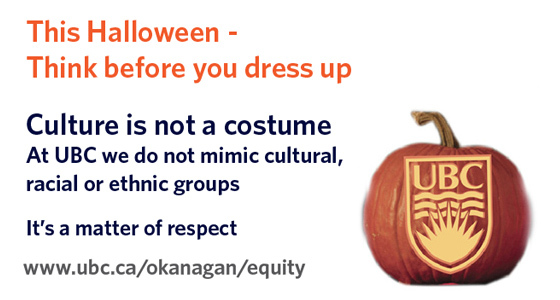 It is important to think before you dress up and be aware of the hurtful racist or sexist stereotypes that are sometimes portrayed in costumes. For whatever reason, this is the one time of year when it is often perceived to be OK to be blatantly and unabashedly racist, and in many cases sexist. 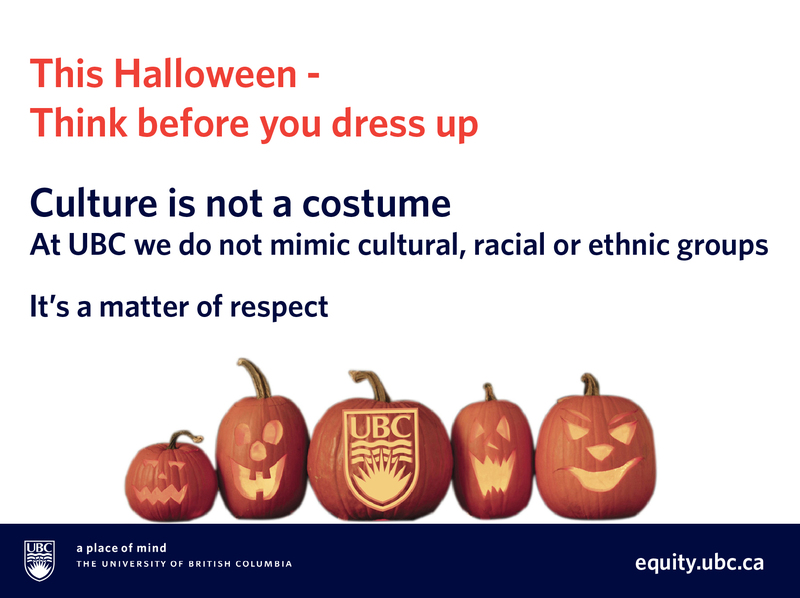 Racist and sexist stereotypes aren’t funny, and culture, ethnicity, and race are not costumes. Hip Vs. Horrible Halloween Outfits by Hannah Barath, Access and Diversity Co-op student. Listen to an interview on CBC North with DJ NDN from A Tribe Called Red about stereotypical Aboriginal or First Nations costumes.